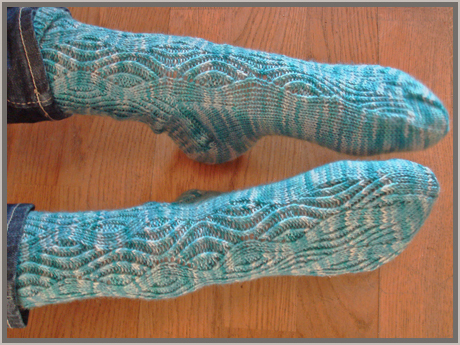 The Marina piccola socks have been finished for about a week, and in fact also washed and blocked for a couple of days. The problem has mostly been the weather*, with our small compact camera is quite a nice natural light required in order to get decent pictures. And today finally, during a split second when the sun decided to shine, I managed to get modeled pictures of the socks. The flash did flat out the pattern terrible, and these pictures are taken with only the natural light. And that did of course create some blur, since a young teenager is incompetent of keeping even the toes still for the time it takes to take a few pictures. 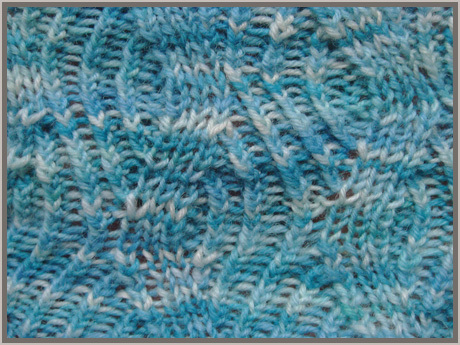 In the end, I liked the pattern by Kate Gilbert very much, and I can't understand why it was so difficult in the beginning. 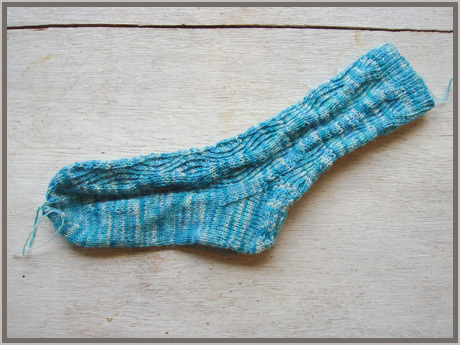 The socks knitted up beautifully on 2,5 mm dpns, and the pattern shows a clear stitch definition. The pattern is well written and very clear. I like the start toe a lot, and since I'm a big fan of flap heel socks, I liked the heel too. The only alteration I made was to decrease a bit sharper for the toe, but that was only because I had knitted the patterned part too long, and I didn't want to have the sock too long. And I was too lazy to frog. The pattern didn't need this alteration. 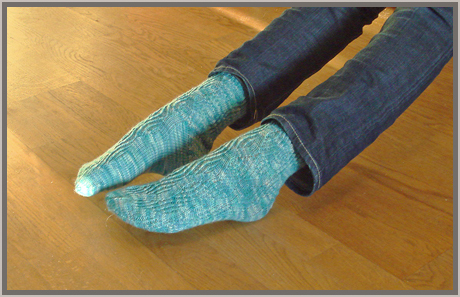 Pattern: Marina piccola socks by Kate Gilbert. Oh no, she moved her toes again! * We have had rain and clouds for weeks, really almost a rainy reason. Haven't felt like winter at all.